Jean Hasbrouck House (ca. 1721), Historic Huguenot Street, New Paltz, NY. Photo by Pieter Estersohn, 2017. NEW PALTZ, NY (September 15, 2017) – Historic Huguenot Street (HHS) will showcase 17th-century Dutch culture at its annual Fall Harvest Celebration on September 30, 2017. This year’s annual event will include an exclusive preview of two extraordinary exhibitions that recognize the endurance of Dutch culture and the history of the New Netherland Colony throughout the Hudson Valley. The event is expected to draw attention to and raise funds for the vital education and preservation efforts that go into making the ten-acre National Historic Landmark District an American icon. The Celebration will be held from 6:00 – 9:30 pm in an illuminated tent on the lawn of the historic Deyo House, the site’s singular Queen Anne-style mansion. Celebrated as one of American’s oldest preservation organizations, Historic Huguenot Street has welcomed visitors from around the world for more than a century. Its collection of authentic Dutch-style early 18th-century stone houses is unparalleled. Portrait of a Lady Holding a Rose, 17th century, Caspar Netscher (1639–1684), oil on oak panel, 19.5 x 16 in. Collection of George Way. Photo by On Location Studios, Poughkeepsie, NY, 2017. The evening will preview the opening of two special exhibitions in the Jean Hasbrouck House, featuring George Way’s collection of Dutch fine and decorative arts from the late 17th and early 18th centuries, as well as a selection of Hudson Valley kasten (18th century Dutch-style cupboards), many of which are from Historic Huguenot Street’s extensive collection. During cocktails and farm-fresh hors d’oeuvres, guests will have the opportunity to experience these exhibitions intimately, meet the collector, and enjoy live music by the Bardavon Trio. At the dinner, guests will enjoy a seasonal, farm-to-table three course meal highlighting the agricultural roots of the Hudson Valley, catered by Main Course. An accompanying program will celebrate our shared accomplishments, and Historic Huguenot Street will honor three individuals who have been steadfast supporters of Huguenot heritage over the years: David and Susanna Lent, and John P. (Jack) Strang (posthumously). Historic Huguenot Street is grateful to its event sponsors: Patrons Marianne Murray and Richard Rowley, Mary Etta Schneider, and two anonymous donors; Benefactors Stephen P. Lumb, Homer Olsen (In Memory of Joyce Deyo Olsen), James and Mary Ottaway, and an anonymous donor; Supporter Riverside Bank, A Division of Salisbury Bank; and Table Captains Robbin Gehrke, David and Susanna Lent, and Sanford Levy. Those interested in attending or supporting the Fall Harvest Celebration may visit huguenotstreet.org/fallharvest. 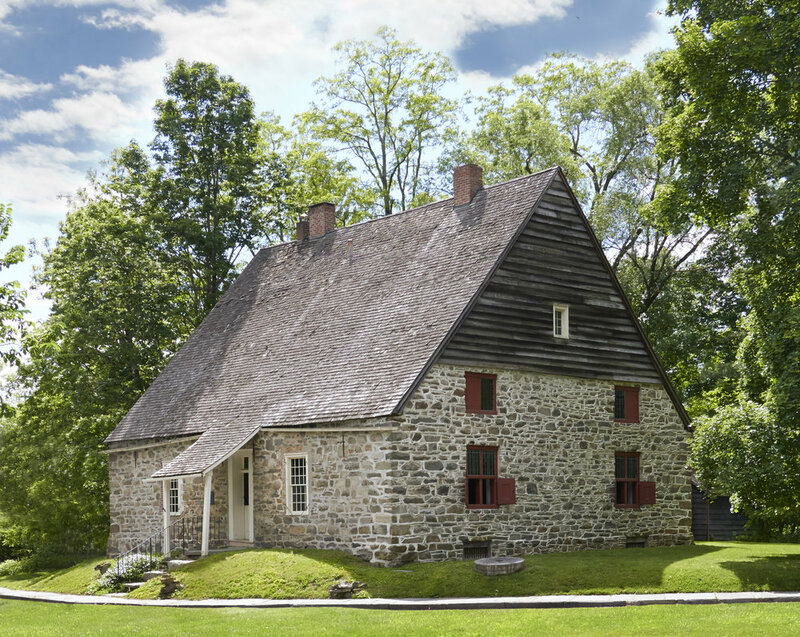 A National Historic Landmark District, Historic Huguenot Street is a 501(c)3 non-profit that encompasses 30 buildings across 10 acres comprising the heart of the original 1678 New Paltz settlement, including seven stone houses dating to the early eighteenth century. Historic Huguenot Street was founded in 1894 as the Huguenot Patriotic, Historical, and Monumental Society to preserve the nationally acclaimed collection of stone houses. Since then, Historic Huguenot Street has grown into an innovative museum, chartered as an educational corporation by the University of the State of New York Department of Education, that is dedicated to protecting our historic buildings, preserving an important collection of artifacts and manuscripts, and promoting the stories of the Huguenot Street families from the seventeenth century to today.